Sinful is the 13th book in the Bitter Creek series by Joan Johnston. I was shocked that I never heard of this series and I have to admit the author as well. Although there were some things I loved there were some things I also had an issue with. Putting these issues aside I was interested in the characters and I wanted to know how the author would unfold the story. Connor Flynn is a Delta sergeant and he recently lost his wife. Since he was enlisted in the military he had to leave his two children with their maternal grandparents. When Connor’s time is up he moves back home. He has a couple of things to deal with. One he is a widower. He lost his wife, who was also his high school sweetheart, in a car accident. Two his in-laws want to keep the children and have painted him as an unfit father. Although Connor passionately loves his children he really hasn’t had much time with them since he was serving in the army. He is trying to rebuild his life and needs a lot of help. Eve Grayhawk was Molly (Connor’s wife’s) bestfriend. She has also loved Connor since they were in high school and has sat by as Connor married and had a family with her bestfriend- basically coveting her life. So I LOVED both Connor and Eve. They were both so incredibly sweet and such great people. They also had great chemistry and I really wanted them to find their way together. I’m a sucker for unrequited loved that is finally fulfilled. I was interested in them as people, as a couple, and genuinely liked them and loved their chemistry. Aside from the great hero and heroine I did have some issues with the story. First, everything was so dramatic. I mean it seemed everything happened to Connor. It was one thing after another. He is marrying Eve and because of old family revelries between their perspective families his father cuts off his trust fund. The social worker assigned to them is basically threatening him at every meeting, he suffers from PTSD(Post Traumatic Stress Disorder). He has guilt because he feels responsible for his bestfriend’s death. I kept thinking, “give the guy a break…” So the supporting characters were also a positive and a negative for me. There are some old rivalries between his brothers and her sisters. I cannot wait to see those unfold, especially Leah’s story. But the dad’s were so ridiculous. Eve’s father cuts her and her sisters off and it is never 100% why. Yes, the dad wants his prodigal son, Matt, to come home but to give him the land where his family grew up and leave his daughters on the street? This was a hard one to swallow. My last pet-peeve was the inconsistencies. Eve finally agrees to marry Connor and she receives a message from National Geographic offering her a job out in Nevada-on the day of their wedding?? I mean come on… Ok, so putting this little issues aside I’m looking forward to the next book in the series “Shameless.” I can’t wait to see how she brings Pippa Grayhawk and Devon Flynn together! I’m hooked on this series and I want to see where the author takes the perspective siblings. 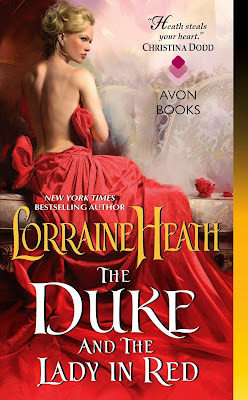 I have often confessed my love of Lorraine Heath many times already so it will come as a shock to say that at the beginning of “The Duke and the Lady in Red (Scandalous Gentlemen of St. James) I didn’t love it. I had a hard time getting the hero and the heroine. Well there is a fantastic reason for this! I have read and loved the previous two books in the: Scandalous Gentlemen of St. James Series so I was familiar with Avendale and his ruthlessness and selfishness. When he sees Rosalind Sharpe he is immediately drawn to her. Rose knows how to work a room, a crowd, how to be charming and basically how to steal from her audience. She is a con artist. So this is the reason that I didn’t like her and Avendale. Basically because when they meet she is not herself. She is pretending to be someone else. This is not a big spoiler because there are so many rich and wonderful parts of the story that unravel the minute we understand why Rose does what she does. Avendale rich, handsome and unbeatable cannot believe that he has been con. He considers himself a worthy opponent of any men, especially a women. The minute he discovers who Rose really is, or what she is, he sets off to find her. And find her he does! No one can do chemistry and tension like Heath! Rose and Aavendale were a fantastic couple! As pay back for her deception, Avendale takes Rose as his mistress until he is ready to dispose of her. He obviously doesn’t really know Rose and when he does he can’t help but fall head over heels. Rose was such a rich character. She alone could have made me love this story. Avendale is a true rake turned hero. He does such beautiful things for the people that Rose is protecting that it brought tears to my eyes. Her brother crushed my heart. I had to put the story down and take a breath. I have to bend down my head in shame that I could have doubted Heath. Beautiful, entertaining, and heartbreaking story! Just when we think Rose and Avendale have faced it all, Rose’s past catches up to her. Ultimately, Avendale has to let her go… Needless to say, this was a phenomenal story. It was one heart stopping moment after another. Another fantastic read by Heath! Sinful is the 13th book in the Bitter Creek series by Joan Johnston. I was shocked that I never heard of this series and I have to admit the author as well. Although there were some things I loved there were some things I also had an issue with. Putting these issues aside I was interested in the characters and I wanted to know how the author would unfold the story. Connor Flynn is a Delta sergeant and he recently lost his wife. Since he was enlisted in the military he had to leave his two children with their maternal grandparents. When Connor’s time is up he moves back home. He has a couple of things to deal with. One he is a widower. He lost his wife, who was also his high school sweetheart, in a car accident. Two his in-laws want to keep the children and have painted him as an unfit father. Although Connor passionately loves his children he really hasn’t had much time with them since he was serving in the army. He is trying to rebuild his life and needs a lot of help. Eve Grayhawk was Molly (Connor’s wife’s) bestfriend. She has also loved Connor since they were in high school and has sat by as Connor married and had a family with her bestfriend- basically coveting her life. So I LOVED both Connor and Eve. They were both so incredibly sweet and such great people. They also had great chemistry and I really wanted them to find their way together. I’m a sucker for unrequited loved that is finally fulfilled. I was interested in them as people, as a couple, and genuinely liked them and loved their chemistry. Aside from the great hero and heroine I did have some issues with the story. First, everything was so dramatic. I mean it seemed everything happened to Connor. It was one thing after another. He is marrying Eve and because of old family revelries between their perspective families his father cuts off his trust fund. The social worker assigned to them is basically threatening him at every meeting, he suffers from PTSD(Post Traumatic Stress Disorder). He has guilt because he feels responsible for his bestfriend’s death. I kept thinking, “give the guy a break…”  So the supporting characters were also a positive and a negative for me. There are some old rivalries between his brothers and her sisters. I cannot wait to see those unfold, especially Leah’s story. But the dad’s were so ridiculous. Eve’s father cuts her and her sisters off and it is never 100% why. Yes, the dad wants his prodigal son, Matt, to come home but to give him the land where his family grew up and leave his daughters on the street? This was a hard one to swallow. My last pet-peeve was the inconsistencies. Eve finally agrees to marry Connor and she receives a message from National Geographic offering her a job out in Nevada-on the day of their wedding?? I mean come on… Ok, so putting this little issues aside I’m looking forward to the next book in the series “Shameless.” I can’t wait to see how she brings Pippa Grayhawk and Devon Flynn together! I’m hooked on this series and I want to see where the author takes the perspective siblings. 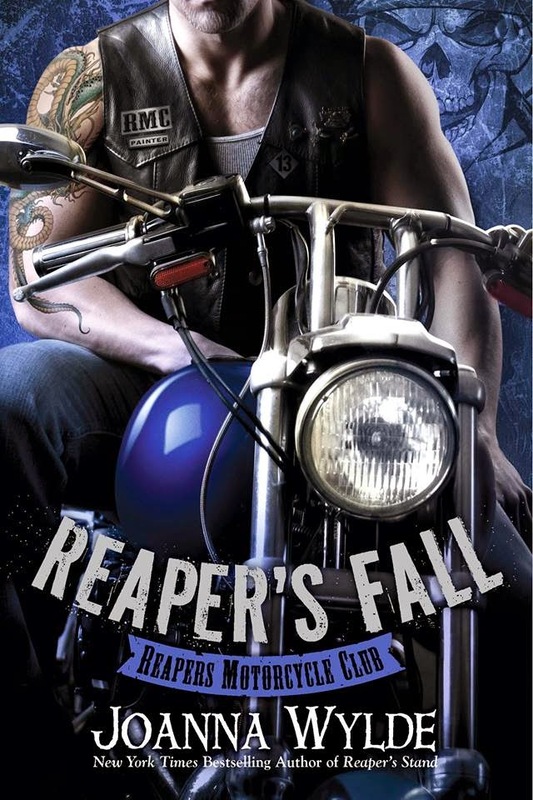 Reaper's Fall is the newest standalone in the Reaper's MC Series. Painter & Melanie's story will be available on November 10th and is currently up for Pre-order! Kristan Higgins is a phenomenal writer. I absolutely love her. Anytime I see anything by her I jump at the chance to read it or hear it. 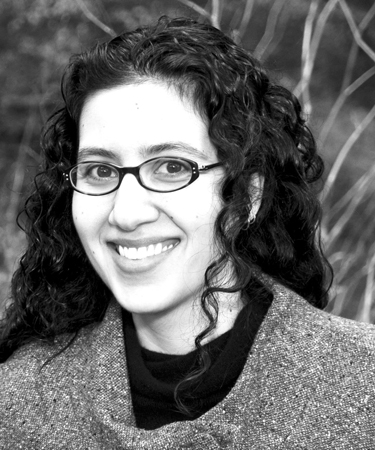 I’m often confused by why she is characterized as a romance author because her writing, although some parts romantic, is usually more broadly focused on female characters and their surroundings. I wish I can say I have read all her work but I’m slowly getting there. One of my favorite books by her is “The Best Man” which is part of her Blue Heron series. One book of hers that I laughed so hard I couldn’t breathe was “Just One of The Guys.” I was listening to another audiobook that was a little darker and it was affecting my mood. I knew instantly when I started “Catch of the Day” that it would be a pleasant experience and that I would love the characters. 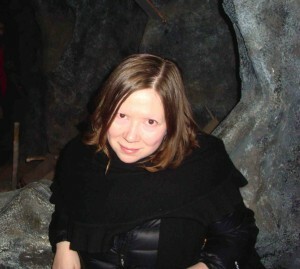 Higgins is known for her wit and well-developed characters. One of my best friends and I argue all the time about Higgins because she thinks all her heroines are the same type. I have to agree there. They tend to be single women, who are goody-goody two shoes and can’t find a man. You won’t find heroines that are tough as nails say like Julie James’ heroines (who is another one of my faves). 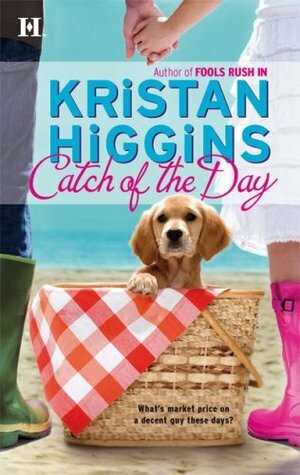 But really I can’t help love Higgins and her heroines. Although her writing is not filled with very detailed intimate moments (really any) she knows how to build conflict with her heroine and hero. She knows how to make them at odds with each other and interesting. In this story Maggie Beaumont is a twin. She is single and owns a diner. She lives in Gideons Cove in Maine. Maggie has a wonderful family that has family issues, really like any other family. Maggie is also single and a little bit of a doormat. She loves to take care of everyone around her. She is also very well-known for having a very serious crush on Father Shay a Catholic priest. Although Maggie has known Malone for most of her life (a local lobster man) she is not the least bit interested in him and finds him unattractive. They are also complete opposites. 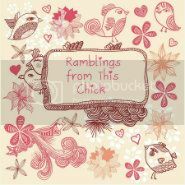 While she is outgoing and bubbly he is reserved and extremely quiet. By coincidence one night she runs into him and she sees him in a whole new light. So, first. The story is mainly focused on Maggie and the people that surround her and the conflicts she has with them. Maggie really has a coming into herself moment. I wish there was more insight into Malone because Higgins stayed true to his character and it was really hard to get to know him. He says very little throughout the book and is not very expressive which is a point of contention in his relationship with Maggie. I would have liked them to share more moments together but the important part was that Malone really knew when to show up when it mattered and it was fun to watch Maggie realize this. I thought Xe Sands did a great job of portraying the voices of the characters and she really added to the charm of an already charming story. Higgins really is a master at creating interwoven plots and there are many other stories that take place while Maggie and Malone fall in love. One of them is focused on her brother and her friend Chantel and another is her pet dog. When I was hearing about these two sub-stories I thought that I knew in what direction one was going but I was very wrong. The other story, I should have known in what direction she was going to take the story, but I didn’t. This is part of Higgins genius. I loved reading about Maggie and Malone and they were an awesome couple. The narrator really had her work cut out for her because she had so many different voices to do since the book is filled with fun and colorful characters. If it’s not obvious by my review, this was another Higgins hit for me! So before I start. I know that Kristen Ashley has a huge fan base. One of the reasons that I started this audiobook was because she has such great reviews about her books. This was my first experience with her work. There were some things I liked and some I didn’t so I made peace by giving it a three star rating. 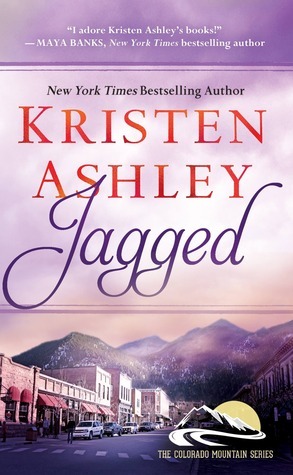 “Jagged” is the fifth book in the Colorado Mountain series. I have not read or heard any of the previous books. When the story begins our heroine Zara Cinders is planning to break up with her friends –with- benefits Graham, or Ham as she calls him. This part really got to me and I didn’t understand if I missed something in their story. So Zara is younger then Ham and is looking for a serious relationship. Ham is not. He is not a settled guy and he basically wanders around Colorado and when he is in town he hooks up with Zara. Zara realizes that this is no longer working for her and she breaks up with him and explains she has met someone. Zara then ends up marrying this guy she met only to divorce him in two or three years. Ham makes Zara promise him that they will always have a way to be in touch because he always wants to make sure that she is ok. When we see Zara again she is definitely not ok. She has lost her successful business, her home and finally her marriage. My question was, did Zara ever say to Ham that she wanted a serious relationship? Did they ever have that “where is this relationship going?” conversation. So fast forward, Zara is divorced and penniless. She sees on the TV that Ham was attacked by a murder and she calls him. He makes his way to her and they have the stupidest fight I have ever heard. I had to replay it because I just didn’t understand what they were fighting about. Ok. Zara and Ham meet up again and he makes her move in with him and he gives her a job working as a waitress at a bar he bought for her so she could have a job… As can be expected their living arrangement bring up old feelings. So at first the hero and the heroine were so confusing to me but they did grow on me and they did have great chemistry. My other issue with the story. Zara’s posse, and yes I mean posse, gang up on Ham and make it clear to him that Zara is a delicate flower? I just don’t understand what their purpose was? Is Zara a dimwit? Can’t she stand up for herself? Apparently her friends don’t think so because they take her life into their hands. Another huge issue I had was the level of crazy that the grownups in this book displayed. So Zara had a tough upbringing and her parents were neglectful and Zara receives some disturbing news about her family. First, her aunt was borderline deranged. But that is not the worse part. Ham and Zara are at a restaurant and everyone becomes involved to protect Zara when her aunt has less than nice words to say to her. Seriously, I spent so much time shaking my head with this storyline, who behaves this way? Many scenes in this book felt like “Dynasty” meets “Days of Our Lives.” Emma Taylor was a good narrator. I thought she was true to the characters personalities. As I mentioned before I had many issues with these characters and the story. I get Ham is an alpha male but most of the times he was an overbearing jerk. Aside from these little issues, I liked Ham and Zara together. I was really glad to see her grow stronger and put her life back together. Although I plan to read and/or hear more of Ashley’s stories I can’t say that they will be on the top of my list. Any one that really enjoys romance with a touch of suspense will like this story and I expect that her fans will really enjoy it as well. 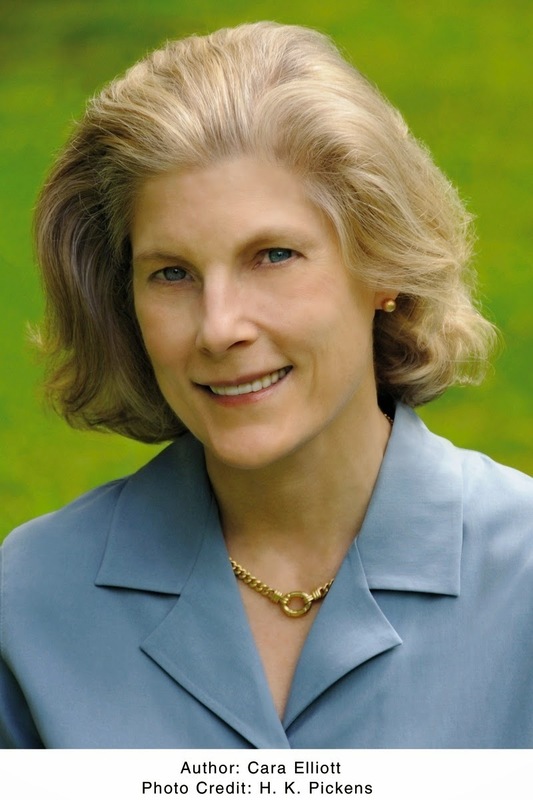 Jill Shalvis is a very successful contemporary author. Her books are frequently seen on the New York Times bestsellers list but I’ve just recently started to read her books. 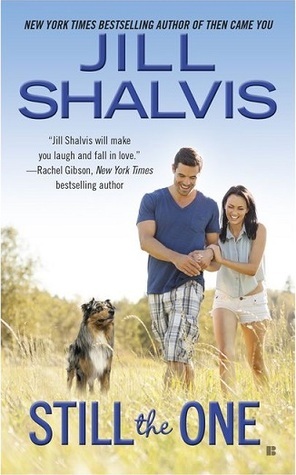 “Still the One” by Jill Shalvis is an example of why Shalvis is so successful. Her books are impossible to put down and her characters are impossible to forget. Let’s start with the heroine- Darcy Stone. I just loved Darcy. She is a mixture of strength and vulnerability. I love that her last name is Stone because it fits her so perfectly. When the story begins Darcy is working for hunky physical therapist A.J. Colten. A.J. and Darcy are night and day. He is very organized and straight laced. Darcy is definitely not. She loves to live on the wild side. Previous to her accident she was a writer for a traveling magazine. She loved to wander around the world. When she had a horrible car accident it was A.J. that helped her heal with his physical therapy. A.J. is like a member of the family. He is very close to both of Darcy’s siblings. When in a moment of vulnerability Darcy turned to him he rejected her. Darcy has a lot of anger and frustration because of this but takes it out on A.J. by bickering with him. Although Darcy comes off very tough she is a very sweet and loyal person. She is also incredibly passionate about rescuing dogs. A.J. comes off as he has it all together but he really doesn’t. He carries his own insecurities and his own wounds from the past. Even though A.J. seems indifferent to Darcy, unless it’s to get on her case for not taking care of herself and not eating healthy, he is really trying to be honorable and not cross the line of friendship. A.J’s stoicism is challenged when he has to ask Darcy a favor. A.J. is a successful physical therapist but he often has to get grants in order to help patients pay for their care. He has a meeting with a potential investor that is willing to help and Darcy would be a perfect example of his abilities as a physical therapist. Needless to say A.J. and Darcy can’t resist their mutual attraction and as the elements conspire against them they are forced to extend their trip and their relationship finally changes. I really enjoyed this story and the characters. Even though this is a part of a series “Animal Magnetism” and characters from other books make an appearance this is easily a stand alone. I was so happy to see Darcy and A.J. finally work up the courage to admit their feelings for one another. A.J. was such a great guy. He really did so many things out of love for Darcy, it was so sweet and endearing to read. Needless to say I really enjoyed this beautiful story and highly recommend it. 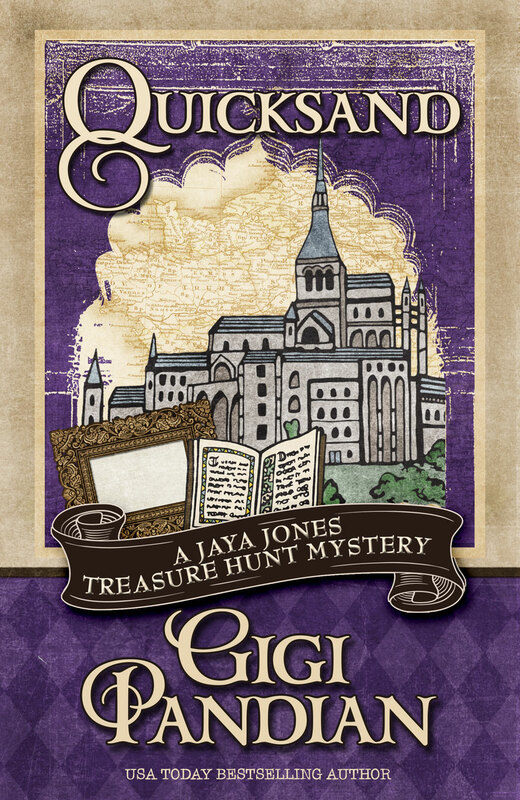 Shalvis delivers a fun, sweet, romantic and steamy story. Looking forward to reading more by her! I’m convinced Jessica Scott can do no wrong. This book was A-MAZING. I’ve read a few of Scott’s books so I should know by now what to expect but she always has a new trick up her sleeve. She always breaks my heart even though by now I should see it coming. I can’t help but feel for these characters. I constantly have to put her stories down and just breathe! Just like the previous books, once I started reading I could not stop and I quickly grew to love this characters. Let’s start with the hero. 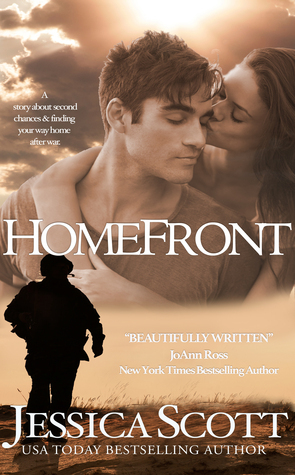 First Sergeant Gale Sorren was such a juxtaposition of emotions for me. I really disliked his past because he basically left his then wife, Melanie, all by herself to raise their daughter. I admired that he was dedicated to his career but I disliked how he rationalized everything in his head because of his upbringing and because he and Melanie were married too young and got pregnant to fast. His big redeeming quality was his raw honesty. I could not help but ache for him. He was very upfront with Melanie about his faults and he took full responsibility. He also was very humble and didn’t just barrage into Melanie and their daughter ,Jaime’s, life. Just like the heroes in her other books Scott does not sugarcoat the effects of war and like her other characters, Gale is dealing with PTSD (Post-Traumatic Stress Disorder). Melanie, Gale’s ex-wife, was also fantastic. She was a mom trying very hard to help her daughter Jaime not only grow as a teenager but also battle her own personal demons. Melanie has held it together for the twelve years since she had Jaime. She has the basic mother and teenage daughter struggles. I thought that their relationship was very real and authentic. When Gale is back Melanie is obviously hesitant to believe in him and let him back into their lives. Although Melanie has had her hearth broken by Gale before she has never stopped loving him and he never stopped loving her. Scott had a lot of work to do with this story, not only did she have to bring a couple back together but also make them a family. I really loved Gale and Melanie together and Scott didn’t make it one big fairytale. They both had to do a lot of believing and soul searching. I loved how she brought them together and I thought that they both had intense chemistry. I was happy to see characters from previous books show up here because it made it feel like a huge family. I have to admit I was super happy that both Gale and Melanie finally got their HEA but I was disappointed to see the story end. I am looking forward to the upcoming books in the series and can’t wait to see what she has in store for Captain Sarah and Captain Sea! Goodwine was a great hero. The story is primarily from his perspective which I really enjoyed because it made it easy to relate to him. 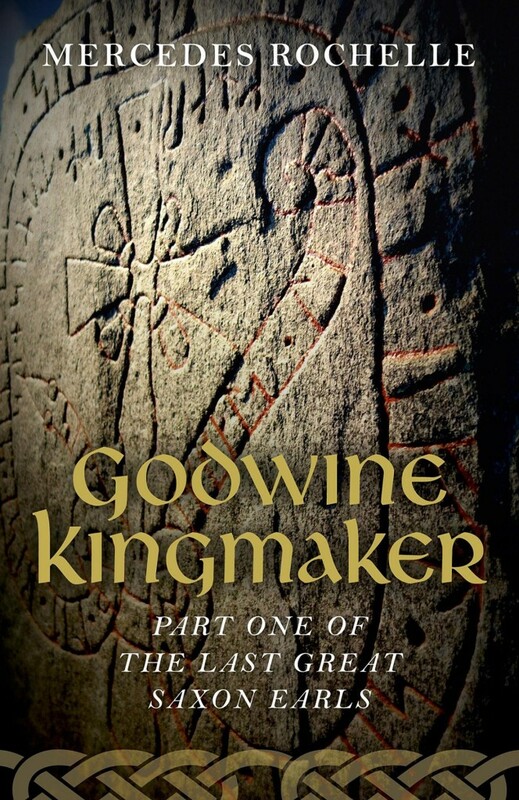 Goodwine had some aspects of his power given to him but most of his decisions were based on survival. When he joins with the Danes it seals not only his fate but that of future generations as well. Because I am a romantic at heart, I loved to story between him and Gytha. Yes theirs was a union of convenience and power but it grew to be more. 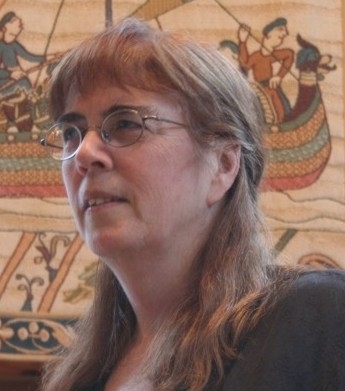 I always struggle with the Anglo-Saxon history and the Normans but I did not let that deter me because I've read Mercedes Rochelle before and knew that she would be able to grab my attention. No matter how many stories I read about history I am always amazed at the tumultuous struggle between the Anglo-Saxon and English. Aliases were so important and many times it made all the differences because it meant a victory or defeat. Aside from the political tensions there was also the religious differences that affected society of the time. Just like "Heir to a Prophecy" "Goodwine Kingmaker" was a very informative, entertaining and enjoyable read. "Mistress Firebrand" by Donna Thorland was an easy five star read for me. This story had all the parts that work for me. I really enjoy historical fiction but love historical romance and this book had equal parts historical fiction and historical romance. 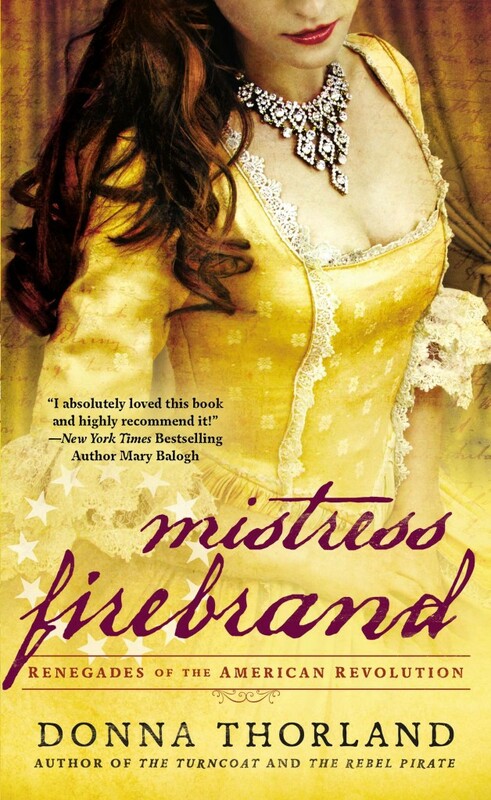 I really enjoyed learning about the late 1700's in early U.S history and I thought I knew a lot about it but I learned so much more by reading "Mistress Firebrand." For example, for some reason in my mind the rebels and the English were very intertwined, which makes perfect sense, but in my mind I imagined that the lines were more clearly drawn between. It was very enlightening to see that that was not the case and it was also very enlightening to see the struggles that the rebels had to endure. The heroine, Jennifer Leighton was fantastic. I absolutely loved her, admired her and was completely fascinated with her and her mission. The female characters in this book were very impressive and refreshing to read about. Not to be outdone by a fantastic heroine, Thorland also creates a fantastic hero, Severin was so enjoyable. I enjoyed reading about him, I loved the tension and struggle with him and Jenny and I really enjoyed the historical perspective he provided. His lineage is part Mohawk and part English. Although I've read my historical romances, I can say he was a completely original and refreshing character. Finally, I thought that storyline was fantastic. The time period Thorland focuses on is so rich with history, information and really so insightful into what we know as present day. It was very humbling to read about the struggles that the early "rebels" endured, not to mention how crafty they were. Jenny's aunt was a great example of resourcefulness. How can the theater and writing help the early residents of this country form the nation? It was clear that the author did tremendous research and I found it very intriguing. Also, although this is part of a series it is easily a stand alone. I didn't feel I missed out on anything but I definitely want to read more by her. I strongly recommend this book to anyone that enjoys history, historical fiction, historical romance or just a great story, by a great author about great characters. Loved!